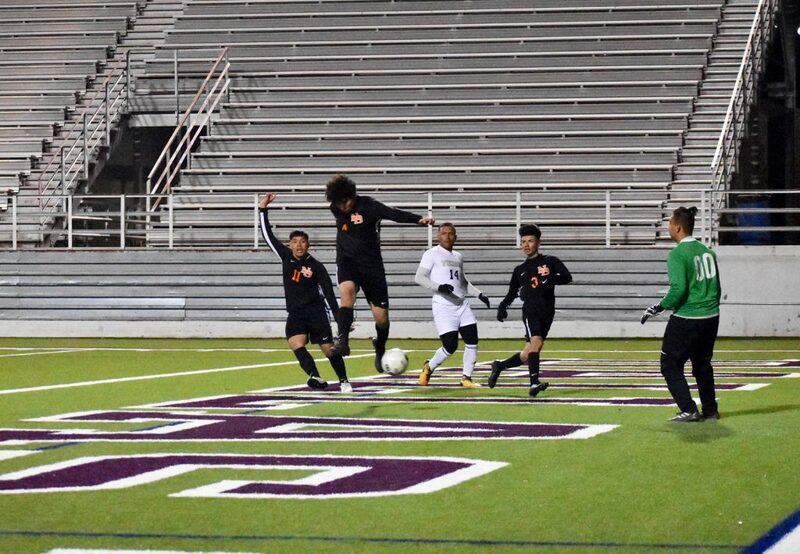 North Dallas center back Celis Ordonez scores for the Bulldogs against Pinkston in a 2-0 win. 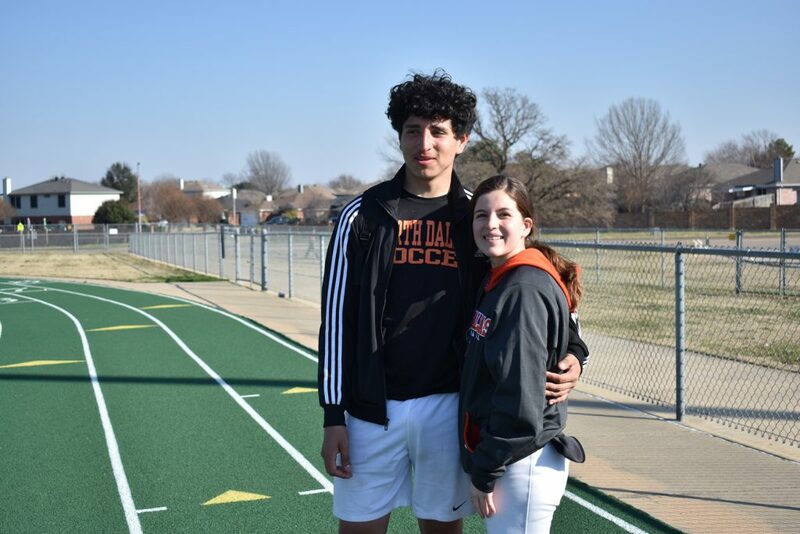 The road to playing soccer went through several sports for North Dallas senior center back Celis Ordonez. 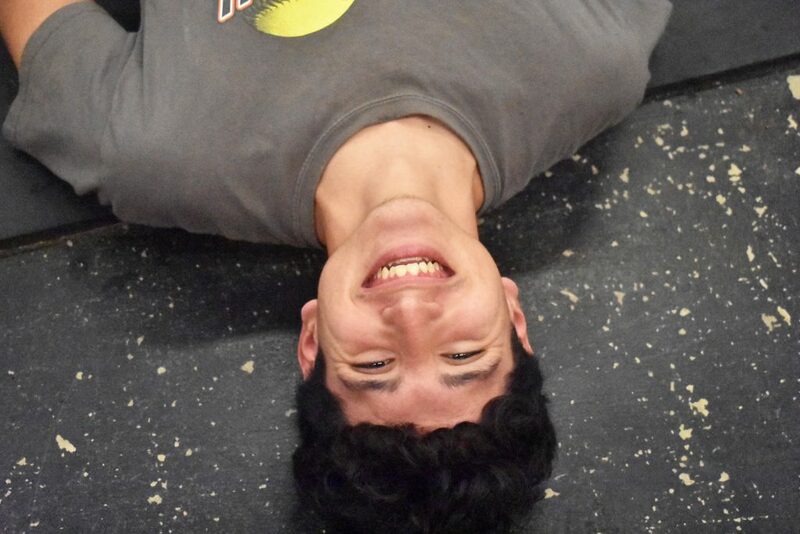 Celis started the year running cross country, then he participated on the tennis team, and then he swam for the swim team. Soccer season followed in late December, and results have paid off. The North Dallas soccer team (11-1-4) has been on a roll before losing to Hillcrest 1-0 Saturday on an “own goal” at Franklin Stadium. 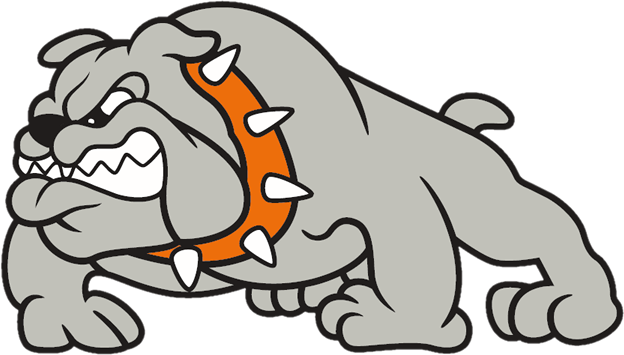 This week in District 11-4A, the Bulldogs are scheduled to play Madison at 7:30 p.m. Monday at Pleasant Grove Stadium, and then play at Wilmer-Hutchins at 7:30 p.m. Friday. 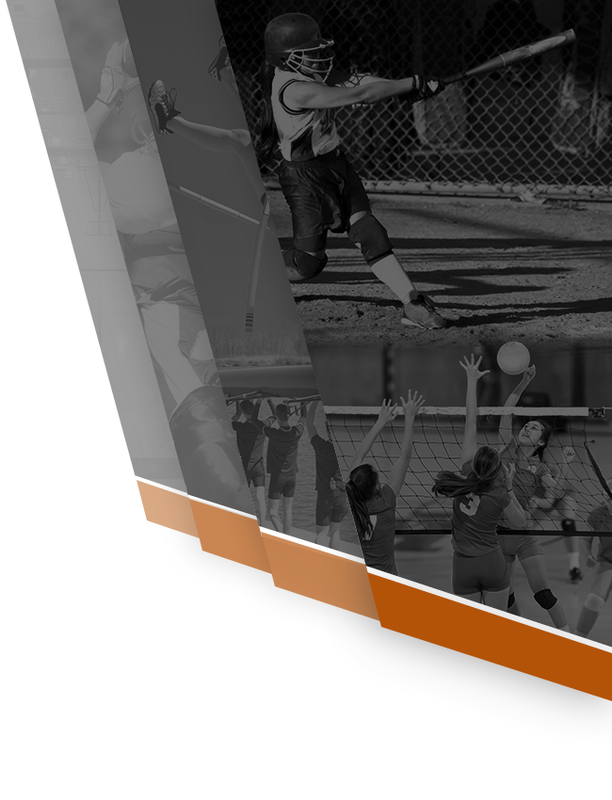 The Lady Bulldogs play at 6 p.m. on Monday and Friday. Celis plays center back, and is one of the top defenders on defense, which has allowed only five goals this season. His height gives him an advantage when it comes to corner kicks. He has scored two goals this season. 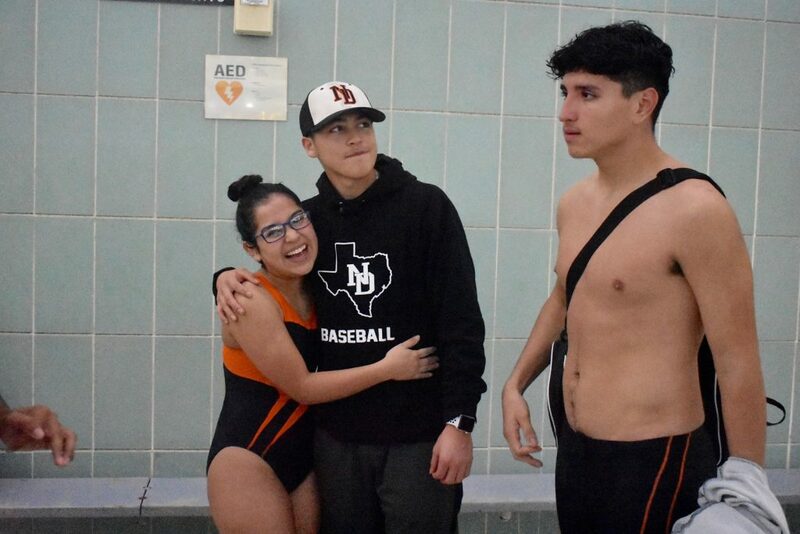 Celis talked about his strategy for getting in shape at the All City swim meet in December. 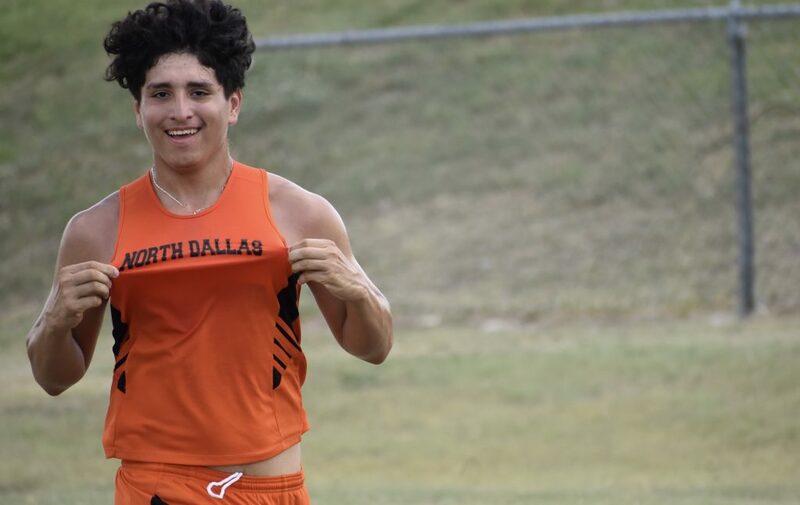 Celis Ordonez, who proudly displays his North Dallas uniform, was the top boys finisher at the Jesse Owens meet. 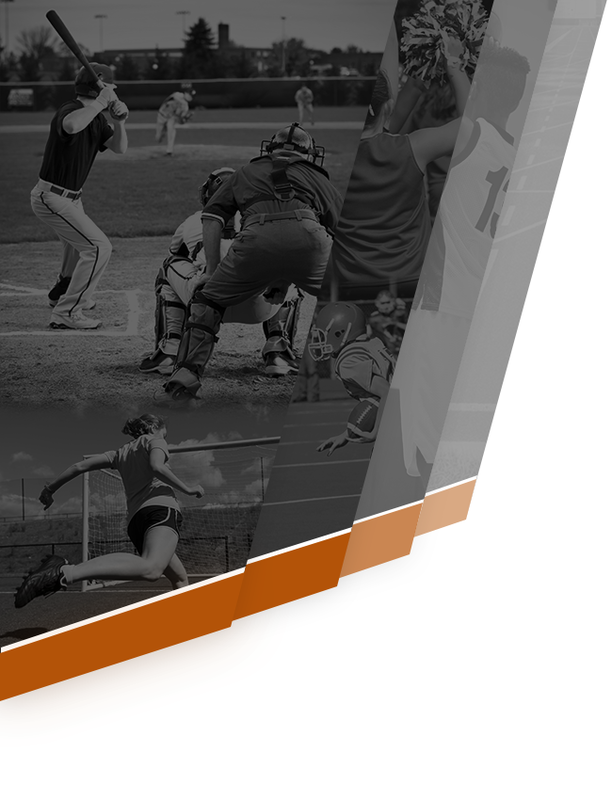 So how does each sport help? Cross country: “I was pleased with it. I kept getting better with every practice and I was doing good in the meets we had,” he said. Celis returns a shot during practice at the Lincoln match in December. 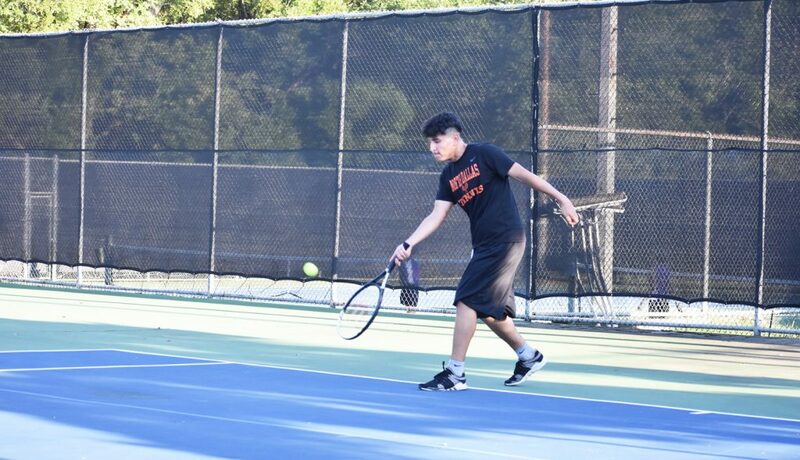 Tennis: “Tennis helped me more with agility because I have to go back and forth on the court to try to hit the ball. So, it’s pretty much the foot work. so that’s why I joined tennis,” he said. 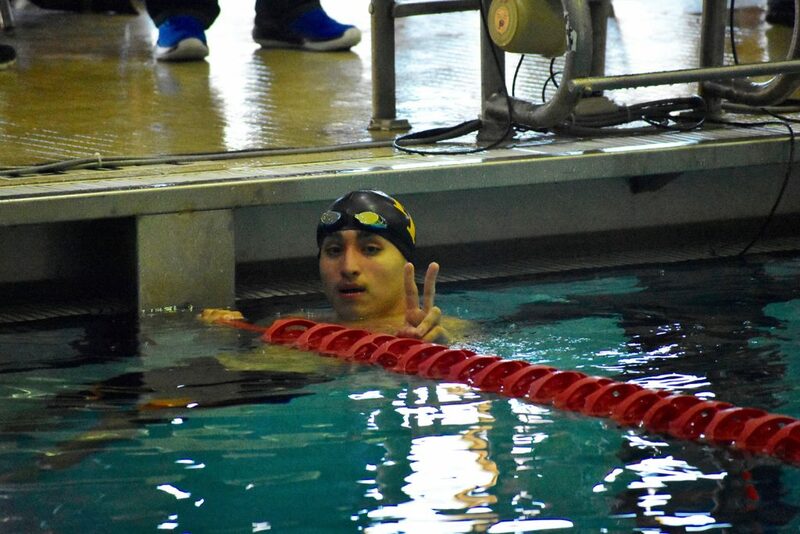 Celis Ordonez completes his race at the All City Swim Meet. 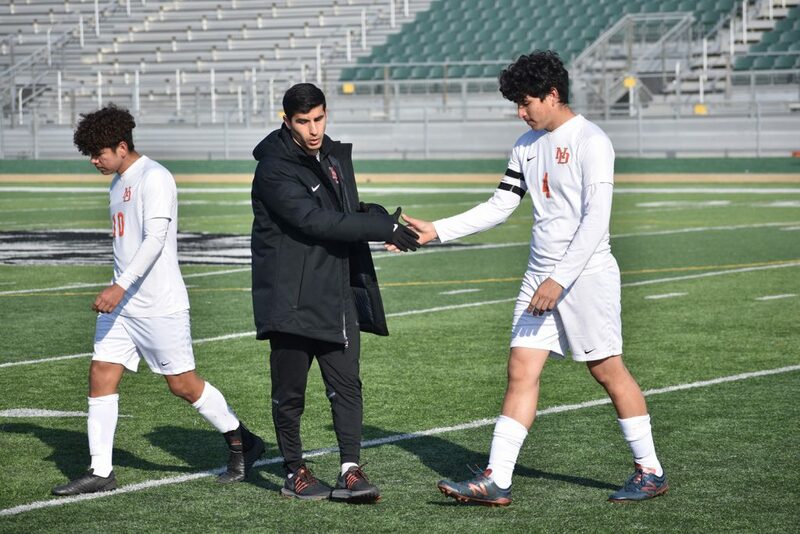 Coach Jonatan Benitez congratulates Celis Ordonez on his first-half play against Waco LaVega. Celis said “winning district” is the Bulldogs’ goal this season. “From there, just making it as far as we can in the playoffs,” he said. Before Saturday’s loss, the Bulldogs have been a powerhouse in the new district. But Celis is also cautious about playing new teams. Celis Ordonez and Marielena Garcia after a win in the Kennedale Tournament. Alicia Garcia and Marco Garcia pause for Celis to walk by. 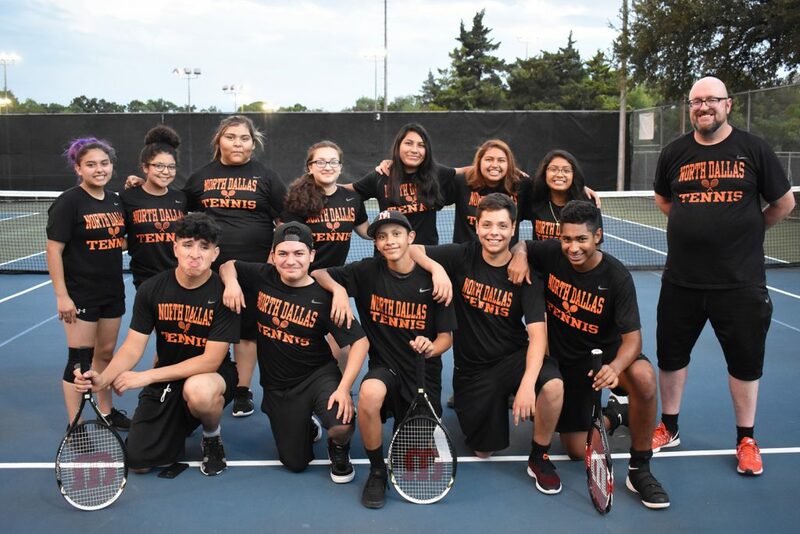 See Celis smile during this team tennis picture. 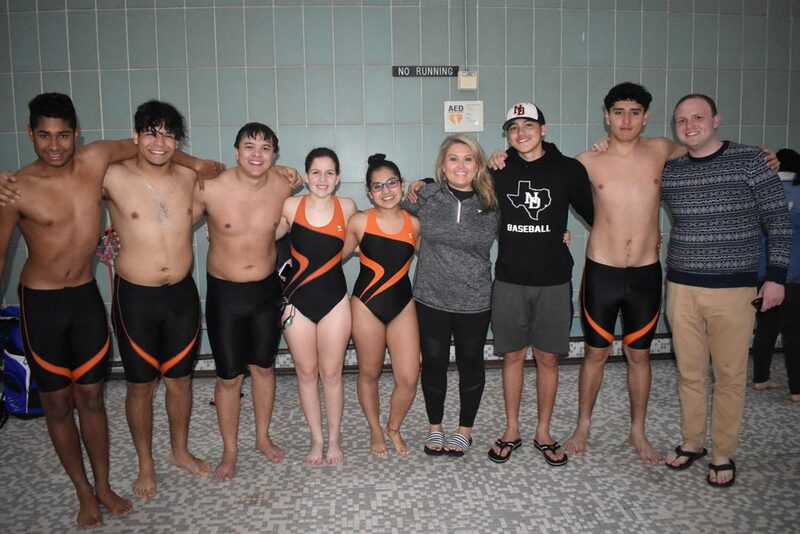 Celis has no expression in this team swim picture. 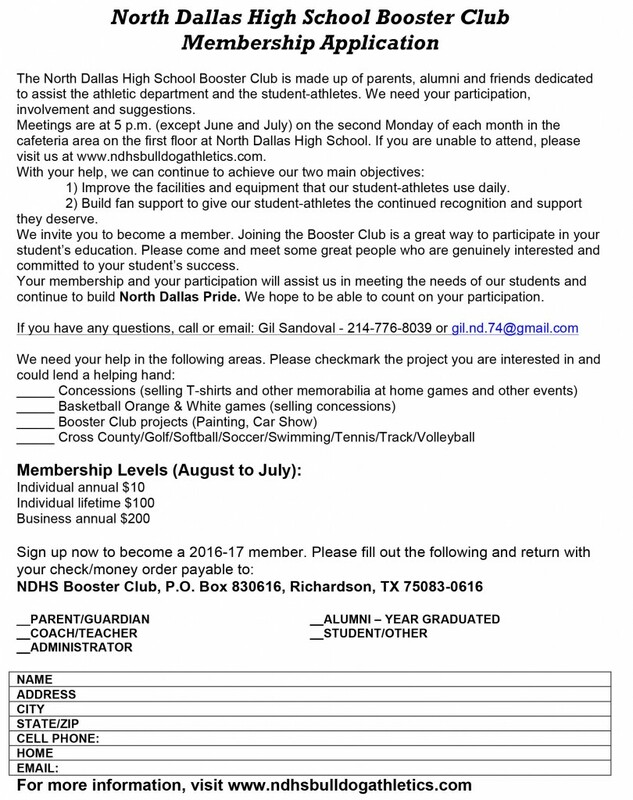 Cellis, working out in the weight room, is just one of the many good kids at North Dallas.